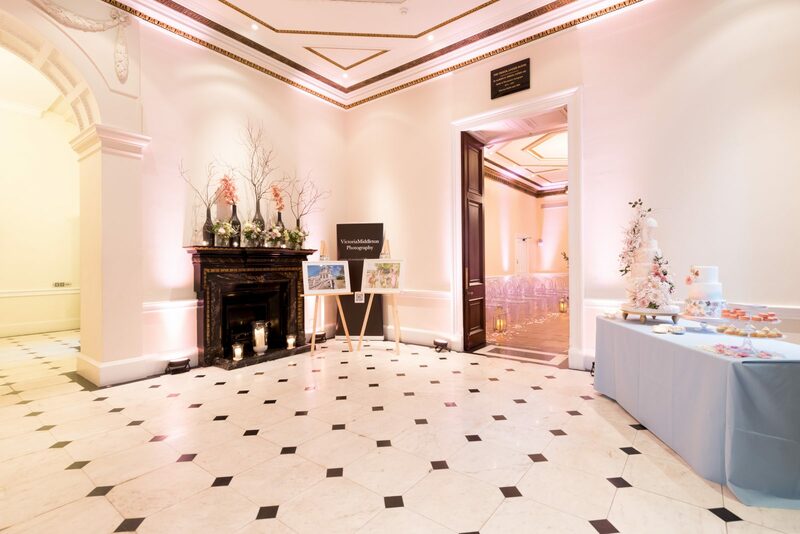 The historic townhouse Kent House in Knightsbridge is an exclusive venue, situated in the heart of the capital. It is a grand, Victorian building that has retained many period features. It offers a range of different spaces, all available for hire, and for different events such as weddings, corporate events, parties and product launches. Kent House also has its very own award-winning event management company, Evolve Events, to help with everything from catering, décor, to photographers and music. Described as one of London’s ‘hidden treasures’, it offers welcoming rooms, exemplary service and a huge range of possibilities. The building has four separate rooms for hire, each one light and airy, and decorated in a neutral style. This means that you have absolute flexibility when it comes to creating the style of your own event. The Marble Hall is a truly impressive space. 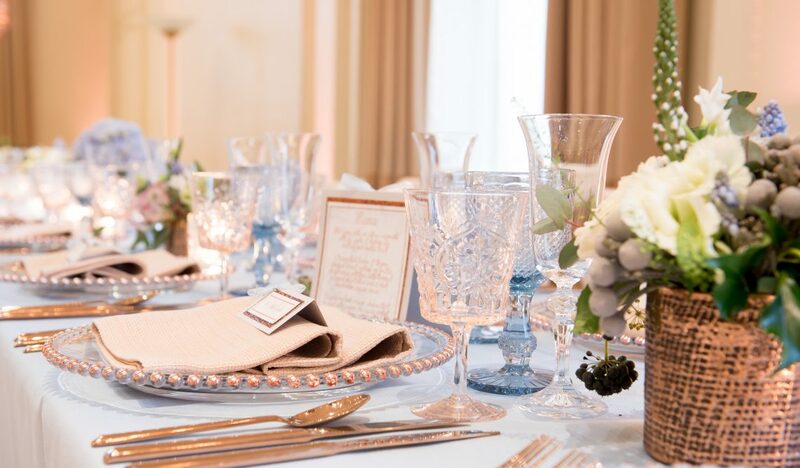 Light, airy and elegant, it is perfect for wedding receptions or formal greeting parties. It has many unique features, including a black and white tiled marbled floor, contemporary lighting and stunning high ceilings. The beauty of the hall is that it can be styled in many different ways. You can emphasise the rich architecture of the building, or you can use modern furniture and lighting to create an avant-garde feel. The Rutland Room is the ideal size for wedding receptions of up to 160 people and dinner functions for 60 people. It can also cater for civil weddings for 96 people. Decorated in tasteful neutral tones, it has gorgeous wooden flooring and statement chandelier lighting. 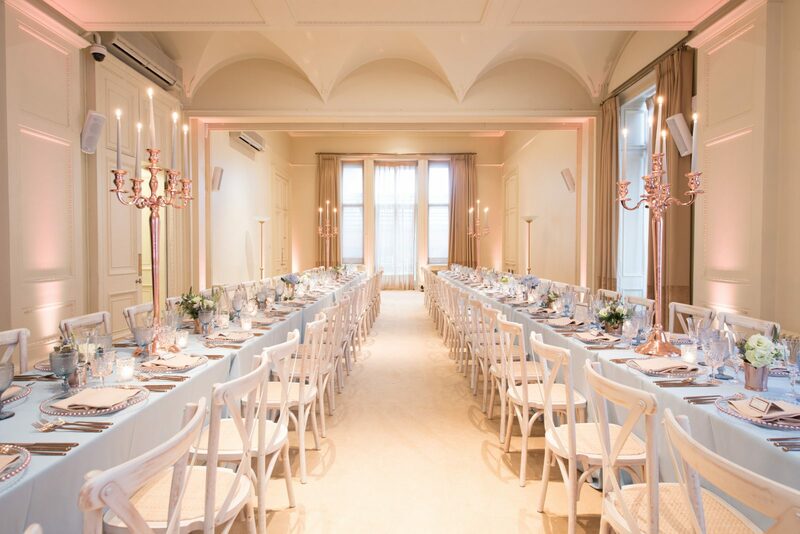 It is a refined and cultured space that can be hired alongside the rest of Kent House to provide a unique event experience. If you are looking for an intimate, quirky space that is warm and inviting, the Library has it all. 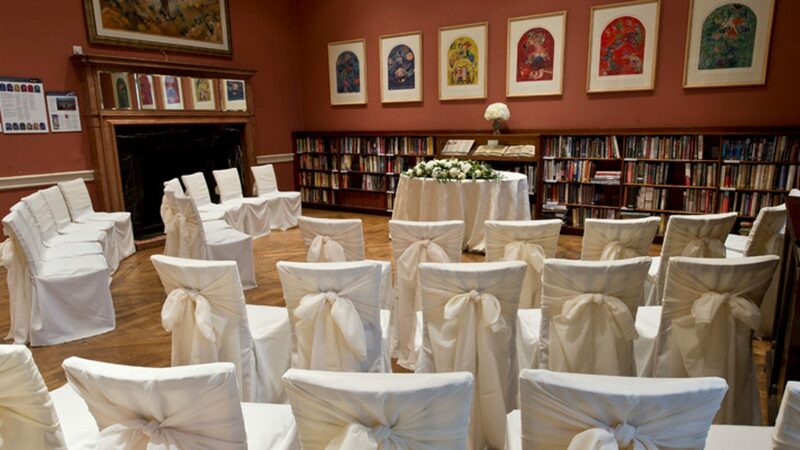 Perfect for smaller wedding parties or civil ceremonies, the library now has a civil wedding license and can cater for up to 72 guests. It can accommodate 40 seated guests for dinner, and more for a relaxed cocktail party. Complete with wooden panelled flooring, decorated in muted tones and floor to ceiling windows, the library is just right for smaller gatherings. The Sanctuary was previously used as a ball room so you can imagine the huge expanse of space there is in this room. Spacious windows means that the room is flooded with natural light. The Sanctuary has kept some stunning original features, including an impressive fireplace, high ceilings and beautiful furnishings. It connects to three other rooms that provide extra space, and there is even a terrace attached. 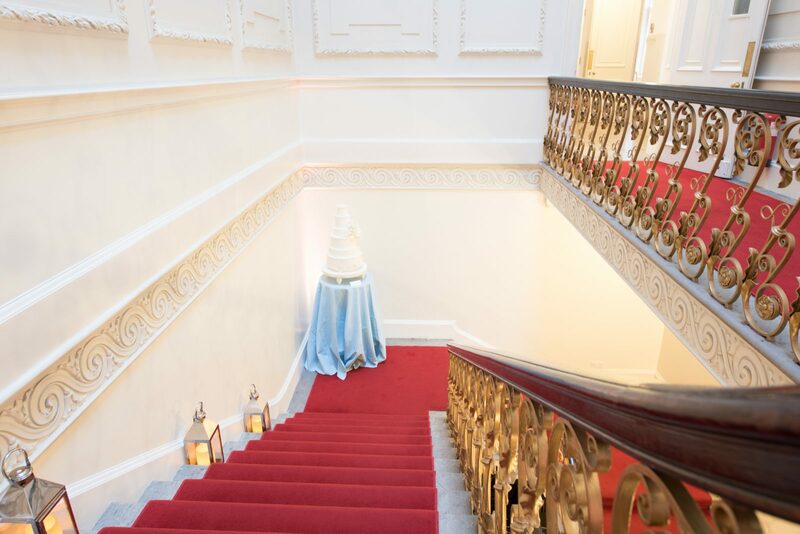 The staircase is a stunning addition to Kent House, and is often used for wedding photographs. Carpeted in red, it winds up through the house and opens into a spacious atrium which catches the light and provides a dramatic setting during the day. At night, the staircase is often lit with lanterns to guide guests and endow the stairs with character and atmosphere. Kent House use a range of different partners to ensure that every event runs smoothly, is delivered to the highest of customer service, and works within client’s budgets. It works closely with Evolve Events and takes the utmost care to get every single little detail perfect on the day. The team are renowned for providing seamless service and support. They have designed and carried out a myriad of events, from modern weddings to themed conferences. We work with Kent House and Evolve events on a regular basis and often provide both chair rental and furniture hire for their events. 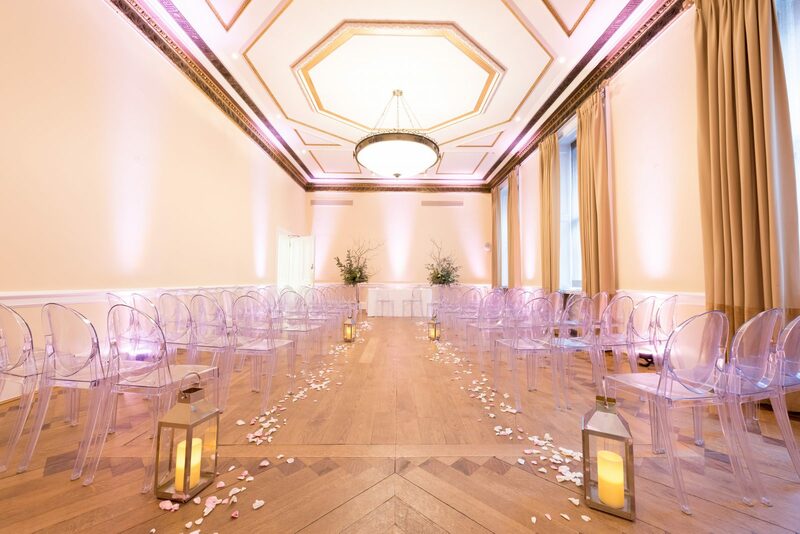 If you are looking for a unique venue, offering a huge variety of rooms, alongside an award-winning event company, Kent House is a fine choice.